Whether or not you think of yourself as an adventurous traveller, it’s hard to remain unaffected by the unbelievable beauty of the Himalayas. Visitors to the very north of India (as well as Bhutan, Nepal, and other parts of the Himalayan region) are immersed in an extraordinary landscape of deep valleys and snow-covered peaks. These incredible luxury treks in the Himalayas are the perfect way to discover the mountain scenery – and enjoy some pampering on the side. 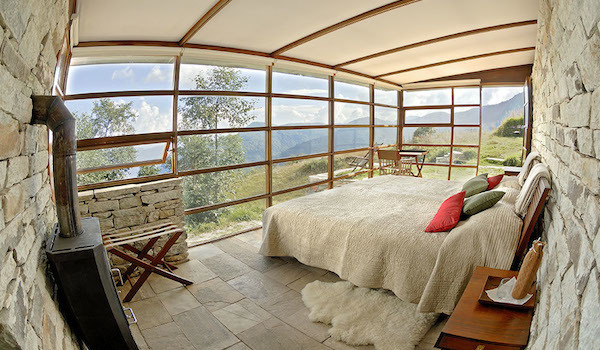 Located in some of the most gorgeous areas of the Himalayas, Shakti‘s several hotels benefit from their incredible surroundings. Those eager for an experience that tends towards the luxurious should stay at 360° Leti. With just four opulent guest rooms, the modern rooms offers fireplaces, pashminas and fluffy duvets for snuggling, while yoga, meditation, and gourmet dining cater to guests’ waking whims. Shakti also operates a “village house” near Leh in the Ladakh region, which more adventurous trekking and camping tours use as a base. 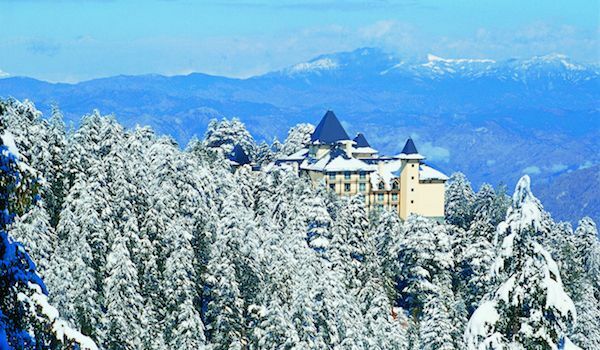 More than 2,400 metres above sea level, the opulent Wildflower Hall, operated by the Oberoi Hotels Group, is set within an expanse of pine forests. For a relaxing holiday, guests can stay on-site and indulge in spa treatments, high-end dining, and take in the mountain views from a heated pool and or outdoor Jacuzzi. The more active can take part in one of four treks in the Himalayas, which range from easy to challenging. All are guaranteed to expose visitors to truly jaw-dropping vistas. Imagine a glamping excursion, complete with luxurious amenities but surrounded by raw nature. With the Ultimate Travelling Camp, the first truly mobile hotel in India, that combination is part of the programme. 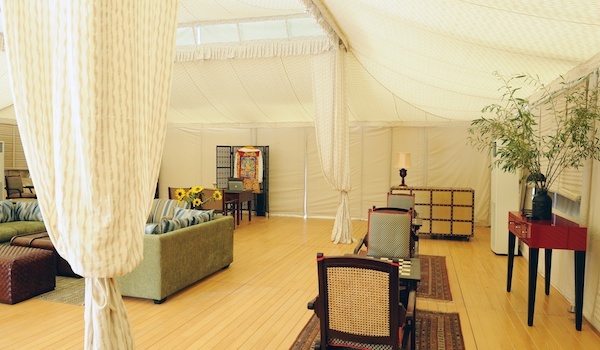 The Chamba Camp, located at Thiksey in the Ladakh region, keeps guests comfortable in individual tents with attached bathrooms and even personal butlers. After acclimatising to the region’s oxygen levels, guests will then visit Thiksey monastery, the Leh Palace, and more stunning local sights. 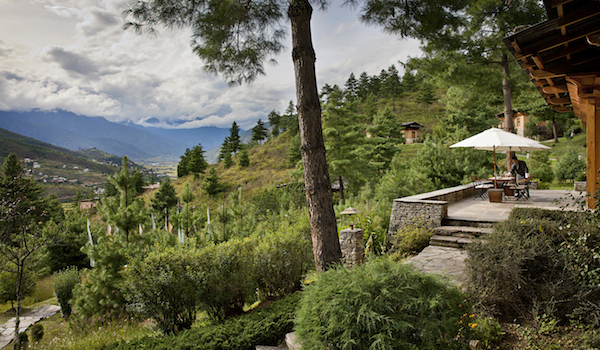 Amankora is more than just a hotel: rather, the resort comprises a number of luxurious lodges that are pitched across some of Bhutan’s most picturesque, lush valleys. Though renovated interiors cater to guests’ every whim, the Himalayan nature and traditional Buddhist culture to be explored outside are authentic and unspoiled. 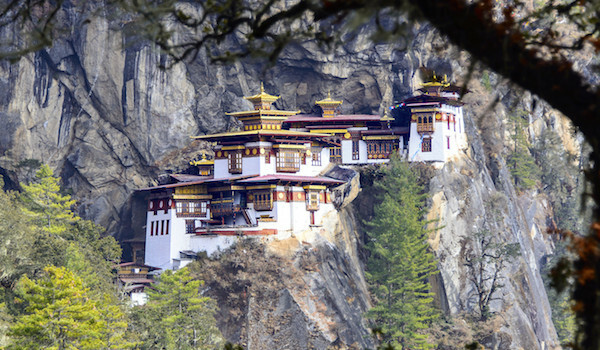 Visitors with a keen interest in the spiritual side of the setting can discover some of Bhutan’s most important Buddhist landmarks, while a number of different nature treks are also available. From caves and mountain vistas to hilltop villages and virgin forests, the treks in the Himalayas show off the most beautiful elements of this isolated country. 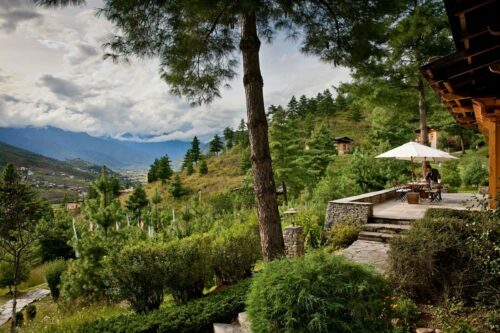 Located within Bhutan’s historic Paro Valley, Uma by Como offers boutique stays (the resort comprises just 29 rooms) within the forest-lined, foggy stretches of land that define this beautiful region. While a top quality spa and restaurant would normally keep guests firmly planted on-site, the resort’s many experiential activities are unmissable. Both two- or three-day treks are available, and visitors have the chance to explore everything from cliff-side monasteries to the markets of Thimpu.